Well, there's only one way to find out. Either way, you can get the ebook for free - for now. Just scroll down past the kind words people have said about the book and log in to your Simpleology account to get free instant access right now. If you don't have a Simpleology account - no problem - you can set one up for free in seconds. "I've read every book on marketing printed in the last 150 years. This is the first breakthrough in over 50 years." "The USP has been usurped!" 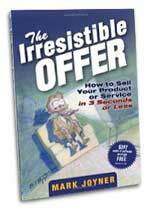 "One of the top 5 marketing books ever written. And that's saying a lot from someone who has almost every marketing book there is!" "If you only buy one book this year, buy this one." "A masterpiece. A must-read. A treasure trove of marketing wisdom." All you have to do is log in to your Simpleology account and you'll be sent an email in moments with download instructions. If you don't have a Simpleology account you can set one up in seconds. Copyright © 2005- Construct Zero, Inc. All Rights Reserved.